Most people assume, “If I’m going to have advertising or I’m going to send an email out, why can’t I send them to my home page?” The challenge with the home page is that there’s often a disconnect with the messaging. If you send out an email about The Best New Houses in Your Market, sending visitors to the home page isn’t giving them the content that was promised. 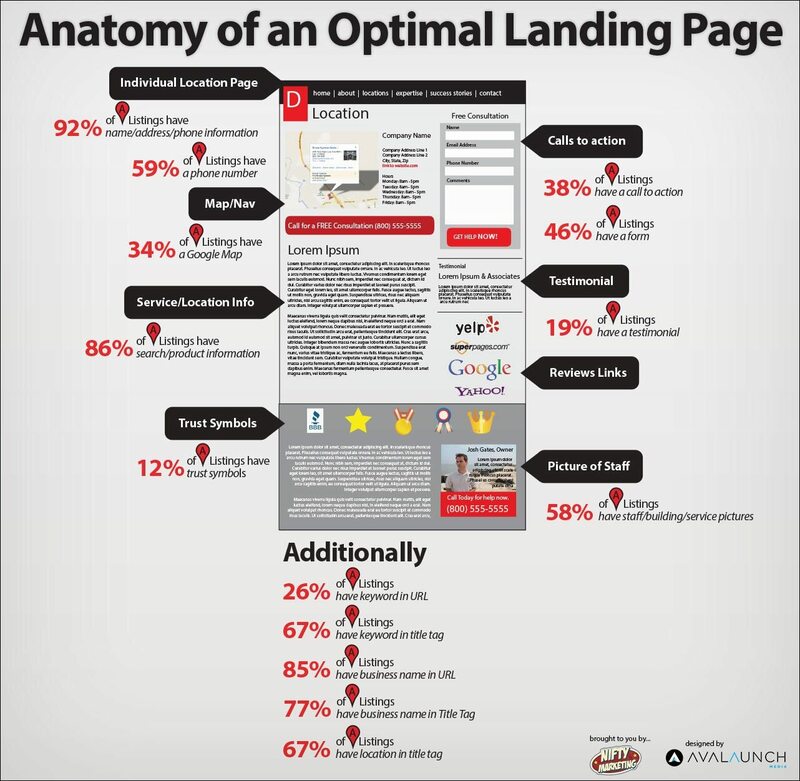 What landing pages allow you to do is speak to specific audiences. So you might make a landing page for a specific neighborhood or a specific type of buyer – whether that be a first-time home buyer, a vacation home buys, or a second home buyer. Those alone are three different communications that you want to make sure aren’t distracting for different audiences. If I’m looking for a second home, for example, I don’t really need to know how to get a mortgage, because I’ve already done that numerous times – that’s content you would gear toward a first-time buyer. So, you really want to use different language on each landing page. I like to use some landing pages to convert visitors to leads. What you do that with is either called an exchange, or a bribe, or a promise. You’re going to give them something of value in exchange for permission to contact them. So, what you’re trying to do is have a lead capture form that’s going to ask for their name and email. Remember, if you ask for too many things, that may cause some people to be cautious about giving that information to you. You’re going to promise to deliver something and you really need to deliver something of value. So that might be a housing evaluation, a home report, a pricing report, an ebook, a guide, neighborhood insight, some videos on how to best sell your house, how to sell your house by yourself. All of those are just examples of things you could offer to someone. Remember to align that offer with the specific type of audience that you’re trying to attract. The first thing is the headline. That’s really the thing that’s going to grab their attention when they land on that page, because you really have about 3 seconds. Your lead came from some other link, email, or Google search and landed on this page. Your headline is going to tell them whether they’re in the right spot. Then you want some very concise and very compelling copy. What are they going to get by staying on this page? Next, a really strong image. It can be a beautiful image, it can be a small graphic, but it has to relate to the reason why they landed there and, general, from where they came and what the promise was. Finally, you want to have a call-to-action and a lead capture. The lead capture is really that ability to ask for some personal information and what you’re really asking for is permission – permission to contact them in some way, give them the information, and continue to contact them. You’ve gotta build trust to do that. So, make sure that your all of your copy isn’t too salesy. But, you do have to make your offer compelling, because otherwise they aren’t going to fill out their information. There are three ways to deal with driving traffic. One is paid advertising: Google, Bing, or Facebook advertising. The next is SEO, which is really search: creating content and information that gets discovered via the search engines that drives folks to your site. The last way is your email list – we’ll assume you have one. If you don’t, I suggest that you start building one because that’s readily-made permission with your potential clients to contact them on a regular basis. Then what you can do is message them in a way that shows the value of what you’re offering and drives them to particular landing pages. Look at a couple of services out there that are really easy to use, very inexpensive, and allow you to create landing pages on the fly. One of them is LeadPages.Net – a really simple service that integrates with your WordPress or any other type of site. You can generate a landing page using the templates that they have. It’ll connect to your email service or CRM and allow you to capture those leads and funnel them into the tool you already use. The other one is Unbounce.com, another really fantastic tool. It has a few more bells and whistles in the form of A/B testing, so you can try two different versions of a landing page and see which one converts better. Get started today; it’s a really simple process and it will help you increase the conversion of visitors to leads so you can get more business.